This is genuinely one of my favourite breakfast’s ever. It’s like a hybrid between overnight oats and granola, but better. 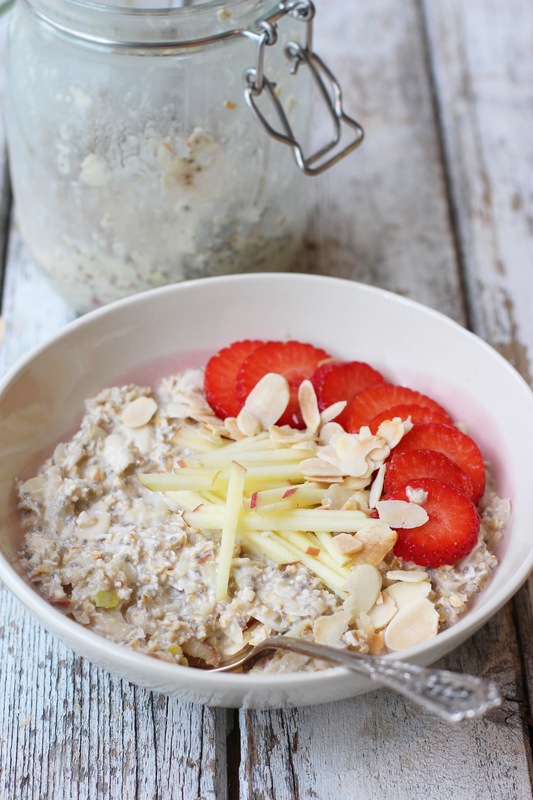 Bircher muesli is often made with yoghurt and some sort of fruit juice but I go for grated apple, almond milk and some chia seeds that make it extra creamy. You can add in other seeds, nuts, dried fruit etc too but this combination is gorgeous and goes perfectly with all kinds of fruit and berries, so you can top it with something different each morning. I love that you can make this big batch and have breakfast sorted for a few days. If it dries out a little after the first day, add a dash of almond milk before serving. 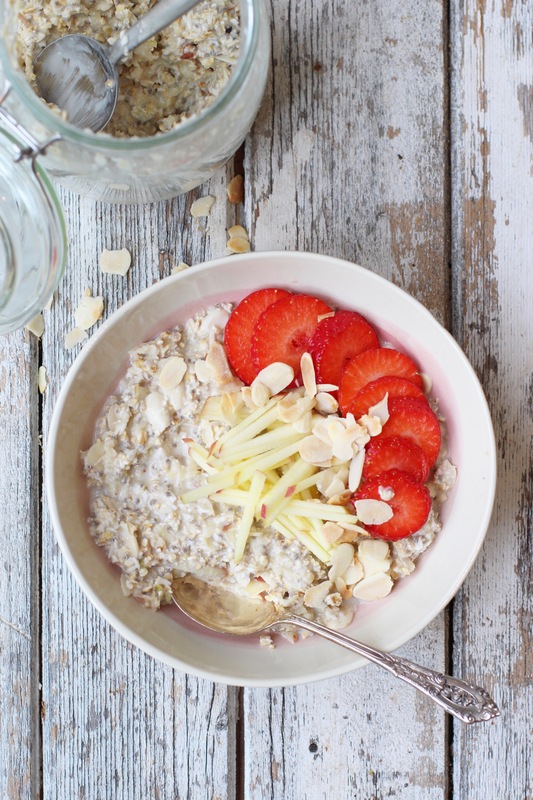 Add the oats, coconut, flaked almonds and chia seeds to a large bowl and then grate in the apple. Mix it all together. Add in your sweetener (if using) and nut milk and mix again. Cover the bowl or add to a large jar and pop it in the fridge overnight (or minimum 2 hours). Serve as is or with a dash more almond milk and whatever toppings you like.